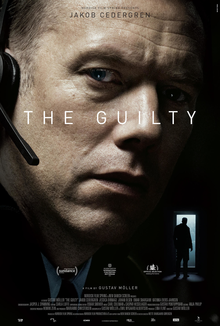 The Guilty (Danish: Den skyldige) is a 2018 Danish thriller film co-written and directed by Gustav Möller. It was screened in the World Cinema Dramatic Competition section at the 2018 Sundance Film Festival. The film was distributed in the U.S. by Magnolia Pictures. It was selected as the Danish entry for the Best Foreign Language Film at the 91st Academy Awards, making the December shortlist. An American remake will star Jake Gyllenhaal.